JUVEDERM VOLBELLA® is one of the latest innovations in dermal filler technology. This revolutionary product is most commonly used for lip redefining, modest lip enhancements and rehydrating and restoring lost volume to the lips. It can also be injected into other areas in order to reduce the appearance of lip lines and other fine lines throughout the face. As an added benefit, the JUVEDERM VOLBELLA® hyaluronic acid gel comes pre-mixed with lidocaine, a mild anesthetic, for a more comfortable treatment experience. What is JUVEDERM VOLBELLA®? Like all other JUVEDERM® formulas, VOLBELLA® is largely comprised of hyaluronic acid. This is a naturally-occurring acid that is found at the foundational layer of the skin. It provides structural support and hydration to the dermis, and helps give the skin a full and refreshed look. 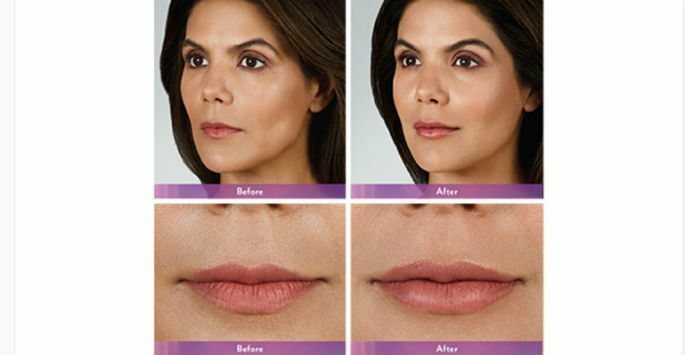 By strategically injecting JUVEDERM VOLBELLA® into areas that need redefining or rehydrating, fine lines can be softened or eliminated and lip structure and volume, restored. What to Expect During a Treatment JUVEDERM VOLBELLA® treatments can have different goals depending on the patient’s desires. During the actual treatment, the JUVEDERM VOLBELLA® hyaluronic acid gel is skillfully injected into predetermined areas, whether it be the lips or the area around the lips. Most patients can resume their everyday activities soon after their treatment session. How Long Do the Results Last? Since hyaluronic acid is a naturally-occurring substance within the human body, it is gradually recognized and absorbed by the body. The good news is that these treatments can be safely repeated at regular intervals for extended benefits. Like all other JUVEDERM® formulas, VOLBELLA® is currently the longest-lasting dermal filler on the market, and can often provide noticeable benefits across the targeted area for up to one year after the treatment. Learn More During a Consultation We encourage you to set up a consultation with one of our expert Aesthetic Nurse Specialists at ReFresh Aesthetic Center to get all the facts about JUVEDERM VOLBELLA®, including how it can benefit you. Our office is located in Whitefish Bay. Contact us today to schedule your appointment to learn more.